NxClinical 4.0 is a revolutionary system that brings together cytogenetics and molecular genetics to increase diagnostic yield while decreasing costs for clinical labs performing variant interpretation. 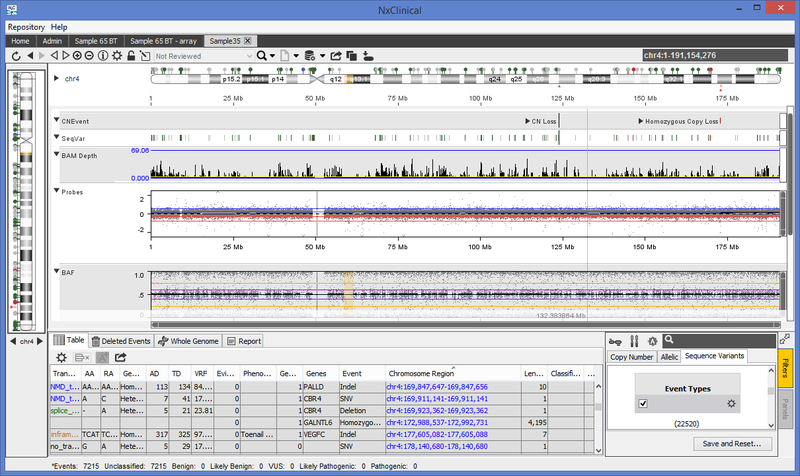 NxClinical 4.0 derives copy number and AOH changes directly from the same NGS assay used for sequence variant analysis, allowing integration of all genomic variations into a single database system with integrated public reference databases, audit trail, interactive browser view, and advanced filtering schemas that quickly narrow down the list of potential causal variants. NxClinical allows for combined analysis of DNA copy number changes... consolidating multiple tests to a single test. This provides numerous benefits such as identification of compound heterozygous events as well as rapid results provision which is essential for improved patient care. BioDiscovery, Inc. a leader in integrated software solutions for genomics data analysis launched, at the 2017 American Society of Human Genetics Meeting, a unique software solution for interrogation of copy number, sequence variants, and allelic changes obtained from a single NGS assay. NxClinical 4.0 is a revolutionary system that brings together cytogenetics and molecular genetics to increase diagnostic yield while decreasing costs. Typical testing procedures involve isolated analyses of copy number/allelic changes and sequence variant changes, and when both are required they involve multiple tests in a sequential manner prolonging return of a diagnosis. Not only does this increase costs in obtaining, maintaining, and training on different systems or reagents for wet lab work and instrumentation for analysis, but it can also lead to overlooking compound events in a single case. 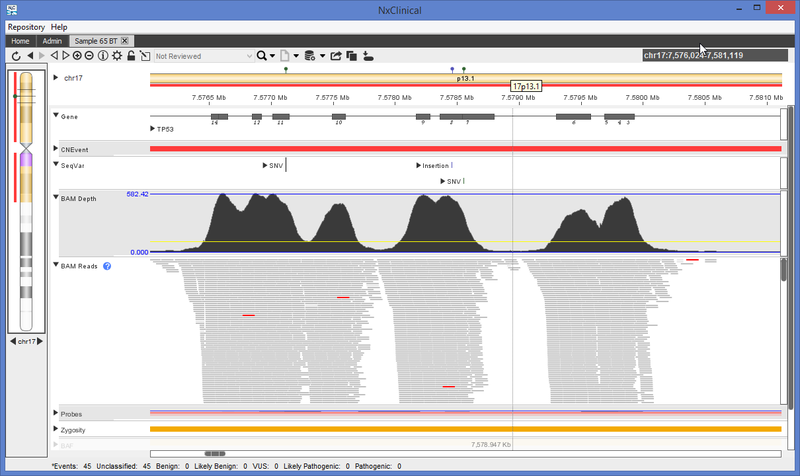 NxClinical 4.0 derives copy number and AOH changes directly from the same NGS assay used for sequence variant analysis. The system then incorporates all these genomic variations into a single database system where a compound heterozygous event can easily be detected with interactive browser view and advanced filtering schemas that quickly narrow down the list of potential causal variants. 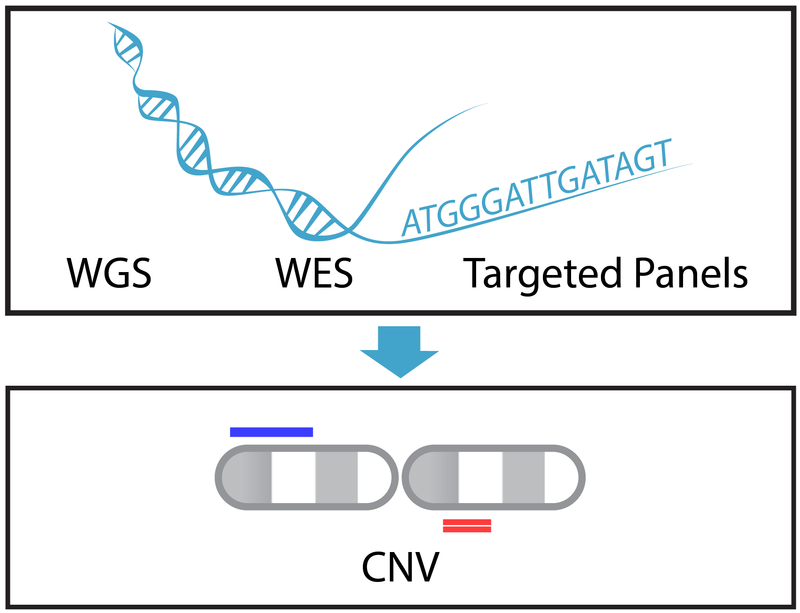 NxClinical 4.0 incorporates BioDiscovery’s BAM MSR algorithm to derive copy number and allelic event changes from WES, WGS, targeted panels, and low pass sequencing data. The software has extensive interactive visualization tools showing read depth, individual reads with base changes, pseudo-probes log ratio plots, family/trio analysis, and integrated public reference databases. The robust filtering pipeline including virtual panel filters and automated calling via a decision tree support system quickly narrows down the list of potential causal variants and assists with avoiding display of incidental findings. NxClinical 4.0 is the first comprehensive case review and reporting system with a gold-standard CNV calling algorithm allowing analysis and interpretation of CNV, SNV, and AOH from a single NGS platform. The system also derives copy number from microarrays while incorporating sequence variants from VCF/JSON files providing for storage and analysis of both microarray and NGS data in a single repository and offering a complete view of a sample under review. This allows labs to consolidate tools into a single system that scales and grows as a lab expands its offerings, eliminating the time consuming and costly process of training staff on multiple software systems, maintaining separate databases, and manually integrating test results for a single sample. NxClinical 4.0 is a multi-user system with audit trailing and a central (on-site or cloud-based) database easily accessible from anywhere. Using standardized and automated processes, NxClinical increases overall productivity and consistency in the entire workflow allowing for a speedy case review process. To learn more about NxClinical 4.0, or to request a demo, please visit http://www.biodiscovery.com/nxclinical/. Case review in NxClinical showing browser view with detected events, BAM read depths, and individual reads. Case review in NxClinical shows integrated review of CNV, SNV, and AOH. Case review in NxClinical shows integrated review of CNV, SNV, and AOH. NxClinical 4.0 includes the BAM MSR algorithm that derives copy number and BAF from NGS data.